Parco Building Systems has been in business since 1984. 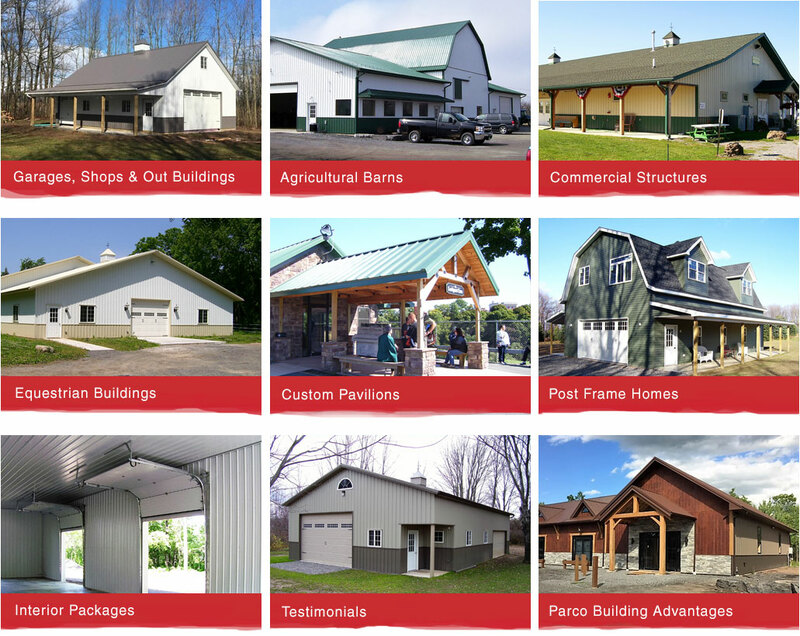 Located in Newfane, NY we are considered to be Western New York’s largest and most experienced post-frame building company. We're family owned and operated with two generations actively working with a hands on approach in our daily business. We attribute our success to our strong belief in personalized service, quality products and superior workmanship at reasonable prices. Post frame buildings are one of the most versatile, cost-effective and fastest growing methods of construction available today. Our customer base includes thousands of satisfied residential customers, schools, farms, fire departments, non-profit organizations, municipalities, retail stores, and other industries. Treating our customers like family has allowed us to build a loyal customer base who have rewarded us with repeat business and referrals to family and friends for many years. Please take a few minutes to browse our website and familiarize yourself with some of the options that are available to you. We look forward to working with you. Let our experienced staff help you custom design a building to meet your exact specifications. There are hundreds of customized styles and designs that are limited only by your imagination! All buildings are packed and shipped directly from our facility and suppliers to the job site. Your business helps to promote the local economy, unlike many other companies that ship buildings in from out of state. WebEssentials Website Design & Hosting in WNY.